The Amazon Echo is like a standalone Siri that sits on your coffee or kitchen table. It looks like a roll of paper towels and is almost less useful in its current version. But it represents an extremely promising future. That future would look something like this: Every day when you come home from work, the Echo (or something like it) will tell you when the mailman came by, how many times your heat or air conditioning turned on, and whether or not your kids finished the milk in the fridge. Then, when you're kicking off your shoes and changing into house clothes, you can preheat the oven, and turn on and change the channel on the TV in the kitchen -- all from your bedroom. We're not there yet, but with something like the Amazon Echo, we're getting closer to a Star-Trek-like computer in your home. Essentially, the Echo is a piece of home decor or furniture you can talk to. It controls other things in your house and lets you search the Web (using Bing) for mundane information. The Echo is controlled by voice commands beginning with the trigger words "Alexa" or "Amazon." A ring of lights at the top of the black cylinder turns blue, orange, or red as it listens, processes, responds, or sits idle. It talks back in crystal clear sound using natural language. You can also instruct it to turn other electronics on and off if they're connected to the same Wi-Fi network. Currently, only about a dozen products are compatible with the Echo. Mainly plugs and light bulbs. It can recognize your voice from far across the room, even while it's in the middle of telling you about traffic conditions, or playing music or audiobooks. If you connect your Google calendar, you can command the Echo to give you a summary of your week, set alarms, timers, and compose task lists. And, because the device is linked to your Amazon (AMZN) account, you can tell the Echo to add things you've previously purchased to your shopping cart. You can access a list of all the commands you've given it through a dedicated mobile app. The more you use it, the smarter it gets. The Echo has received rave reviews since going on sale earlier this summer. It has a four and a half star rating from close to 23,000 customers. The 3% of people who gave it one or two stars say it's not worth the $179. One described it as a "slightly glorified MP3 player." After having it on my living room table for two weeks, I tend to agree with this sentiment. Amazon itself lists the product in its "Home Audio Speakers" category. Although the Echo is impressive in many ways -- amazing sound quality, speedy response time, beautiful design -- it's not portable, and it doesn't actually do much for someone like me or other people who live less complex lives in small places. I'm not married, I don't have kids, I live in a New York City apartment. I don't spend that much time in the kitchen, which is where the hands-free feature is most useful. I own no connected light bulbs and plugs. And if I need an answer to something or want to play music, I have a cell phone which is a far more powerful computer at this point. A virtual assistant would be imperative if I had a huge house with multiple rooms, lots of responsibilities to juggle. Even then, an Echo-like system would be much more useful if it could help me pay bills, compose email, and set up travel plans. Google (GOOGL), Apple (AAPL), and other large tech and telecommunications companies have been developing ways for people and businesses to control their physical lives digitally for a while now. Most of the existing platforms are managed through mobile apps. Some, including AT&T (T), have already integrated their Web-connected home security systems into cars. However, none of these networks will be useful enough until our homes are filled with connected devices that can be controlled by a central operating system. At the same time, it's important to start building foundations now so that everything will work together once all of our peripheries are online. 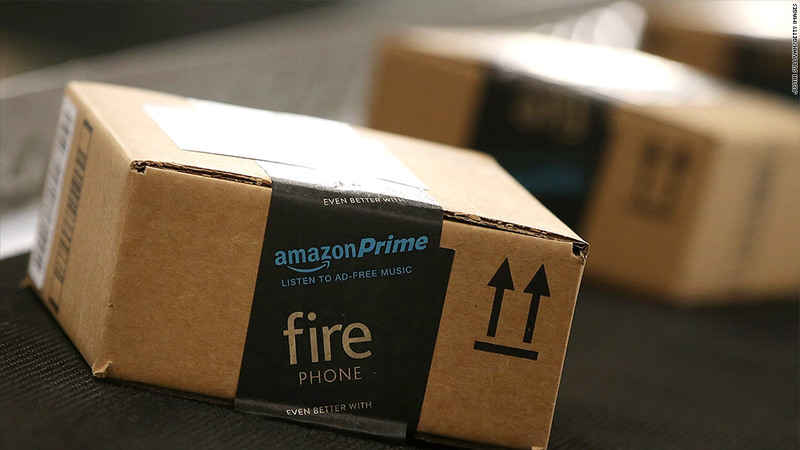 In building the Echo, Amazon is tackling both problems at the same time.